Towards the end of the 20th century, sand and gravel extraction in the Middle Trent moved from the higher terrace gravels down onto the wide floodplain zone. The lower Hemington terrace gravels presented waterlogged conditions with excellent preservation of riverine structures, organic artefacts and ecofacts. One of the first discoveries occurred at Hemington Quarry in 1985: a 12th century mill dam and vertical water mill. An ongoing watching brief recorded many riverine structures and culminated in the discovery of three medieval bridges. 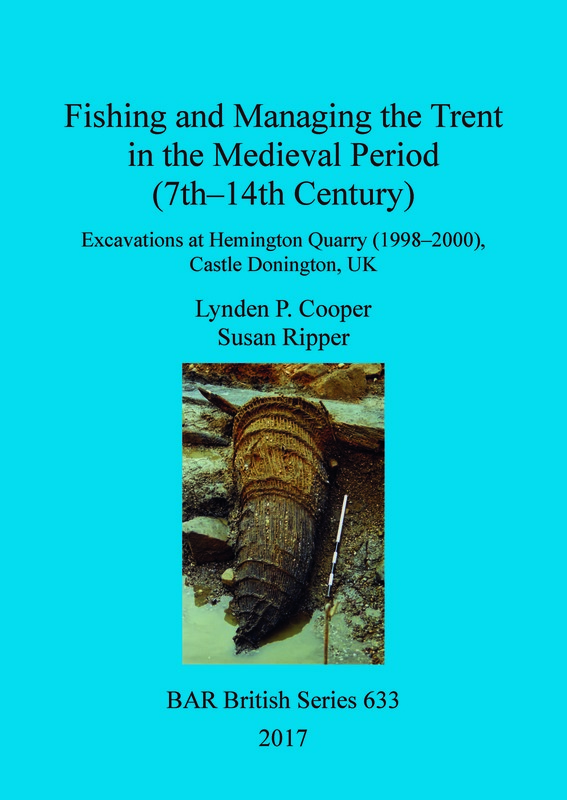 The present book describes the discoveries from 1998 to 2000 of numerous medieval riverine structures. Three fish weir complexes of the late 7th-12th centuries produced rare evidence for the capture of migrating silver eels. A 12th-century mill dam was later reused as a basket fishery. A series of stone and timber bank-side structures of the 14th century reflect a change in fishing technology: the cribs were used to manage the river and provide river conditions suitable for net fishing. Lynden Cooper and Susan Ripper have worked in commercial archaeology since the late 1980s, mostly directing urban and rural sites in Leicestershire. They co-directed work for the Hemington Bridges project and the alluvial archaeology featured in this volume. Latterly, Lynden has researched Upper Palaeolithic and Mesolithic sites in the region. Susan is now a freelance archaeologist and archaeological illustrator, and specialises in recording timber technology.